Automobile Dacia produced 335,262 cars in 2018, 7 percent more than 2017 (21,000 more vehicles). Most of the production was covered by the Duster with 236,921 units coming out of the Mioveni factory, according to ACAROM data. 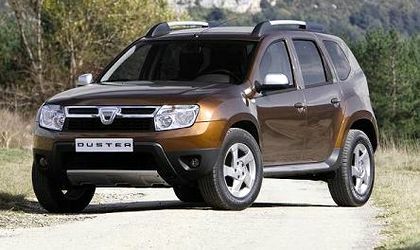 The Duster, the model that can have four-wheel drive, is also the most expensive car produced at Mioveni by Dacia-Renault. At an average price of about EUR 14,000 (EUR 10,500 the lowest prices and EUR 17.700 the highest), Dacia’s 2018 production is worth around EUR 5 billion. The Duster covered 70 percent of the entire production and the highest demand for the model came from Western Europe. Dacia Sandero production totalled 42,146 units in 2018, Dacia Logan had 33,841 units and Dacia Logan MCV had 22,354 units. Sandero is also a model in high demand on foreign markets, while Logan and Logan MCV are mainly sold inside Romania. 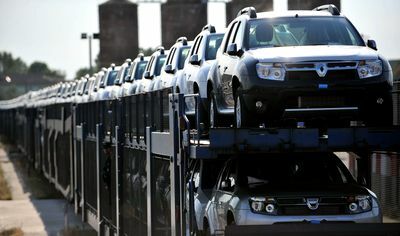 Apart from the vehicles produced, the Dacia plant also made 33,656 units of painted carriages which went to its Algeria plant. 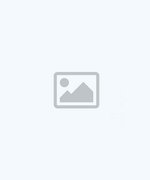 In December 2018, Renault started producing a new engine at the Mioveni factory – the 1.0 liter gasoline with 100 horse power, which is now used for the Nissan Micra. It is one of the newest engines for Renault-Nissan, using the latest technology available in the company. Romania last year produced over 500,000 cars with the Dacia and Ford plants, a numbre expected to be exceeded this year.